NASA continues to share striking photos of Saturn taken by Cassini. The spacecraft is in the final months of its years-long journey to and around the ringed planet. 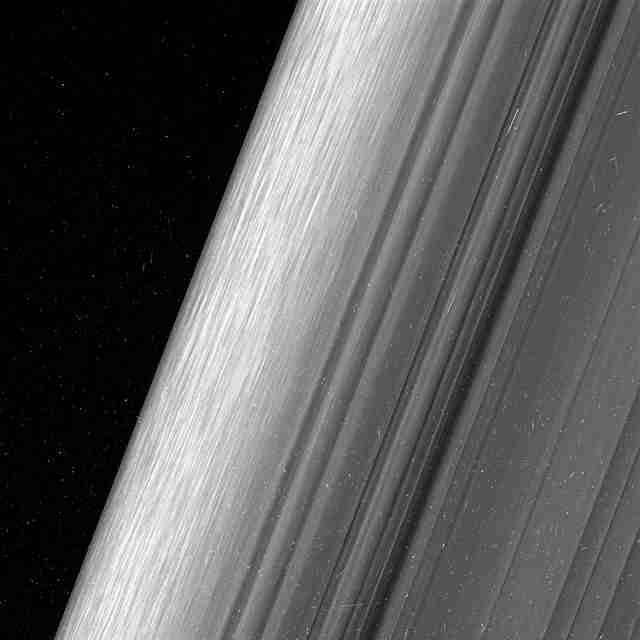 It is presently in its "Ring-Grazing" orbit, in which it cycles close to the outer edge of Saturn's icy rings. The photos here were shared by NASA on Monday, providing the closest-ever look at portions of Saturn's main rings. 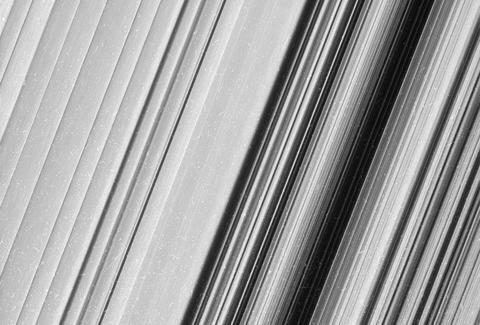 The rings are seen in previous Cassini photos, but these new photos reveal the rings in unprecedented detail. NASA notes that these images "resolve details as small as 0.3 miles ... which is on the scale of Earth's tallest buildings." 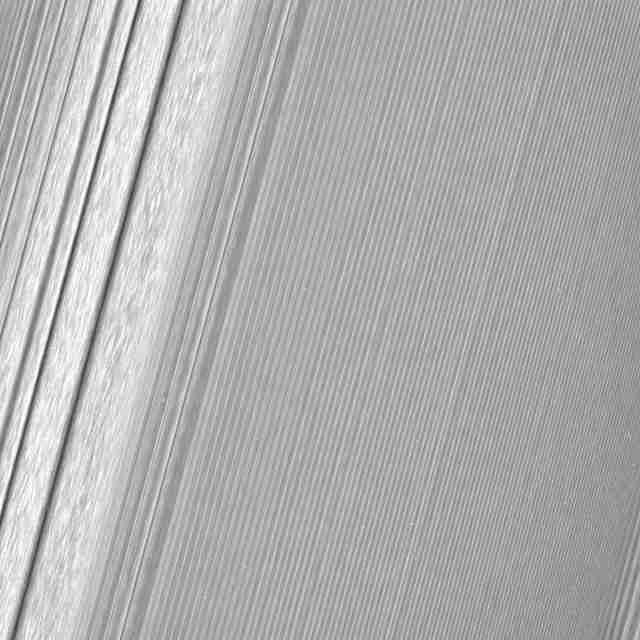 With that level of detail, we're getting astounding images like the one above that shows a density wave rippling through the rings. It's created by gravitational interaction with Prometheus, one of Saturn's moons. (The moon wants you to know it has no idea what that movie is actually about either.) 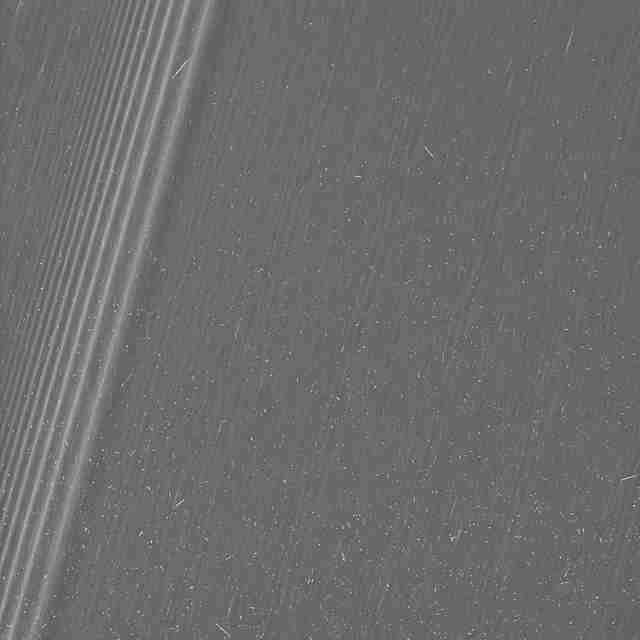 Cassini has previously given us striking images of the gravitational interactions between Saturn's moons and rings with an image of the tiny moon Daphnis causing huge waves. Cassini will do 20 orbits past the outer rim of the main ring group. Those orbits began back in November and will extend through April. After that, the spacecraft begins its final, exciting phase. During that period it will do 22 orbits between the planet and the inner edge of the rings. That first orbit is expected to occur on April 26. In addition to pictures of the rings, Cassini has provided images of the dark side of the planet, the hexagonal storm at the planet's pole, and loads of photos of the planet's moons. The above image also shows a density wave caused by the passing of the moons Janus and Epimetheus. To the right, you can see a "wake" left by the recent passing of the moon Pan. These ought to be enough to get most people excited for the final orbits before Cassini makes its death dive into the planet. And don't forget that we're also getting beautiful images from Jupiter right now as well. It's a great time to be a space nerd.